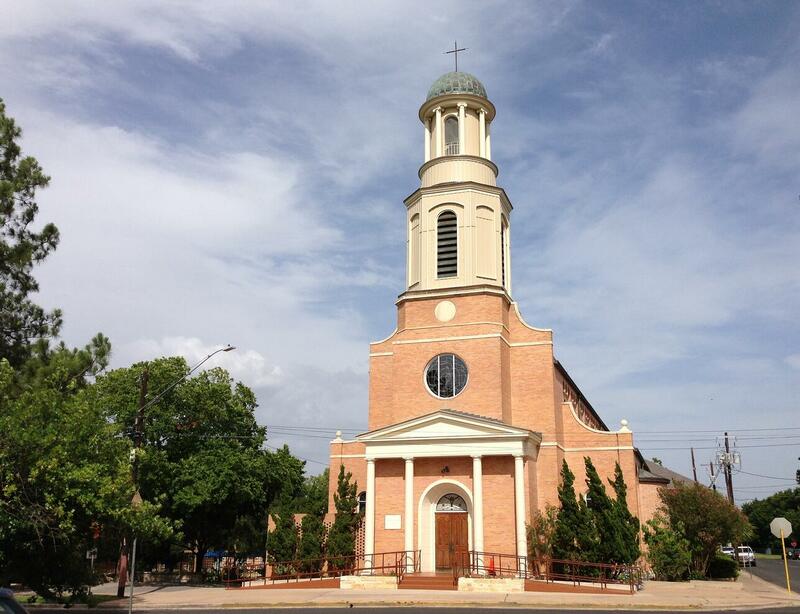 In 2010, Our Lady of Guadalupe Church, built in 1954, commissioned Heimsath Architects to conduct a condition assessment study in order to determine the highest priorities for anticipated restoration and preservation needs. Particular emphasis was placed on the bell tower and the stained glass windows, as both had exhibited significant deterioration. 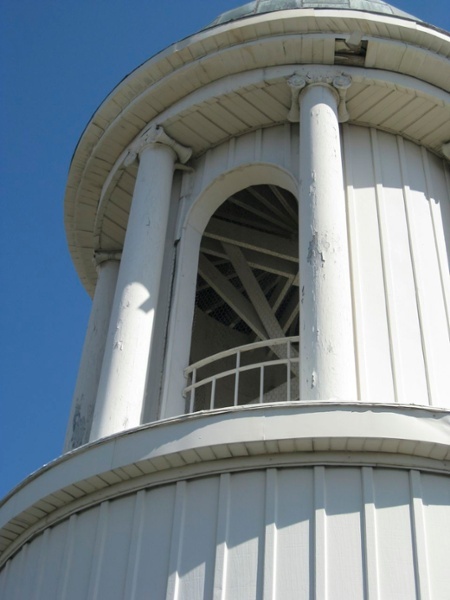 The tower is supported by a wood frame structure that is sheathed in wood, some of which was covered with aluminum siding that was showing signs of serious deterioration. The copper roof of the tower was in relatively good condition, though there some some open joints in the flat soldered seam roof that needed to be resoldered. All of the aluminum trim and siding was removed exposing the original wood trim and sheathing behind it. 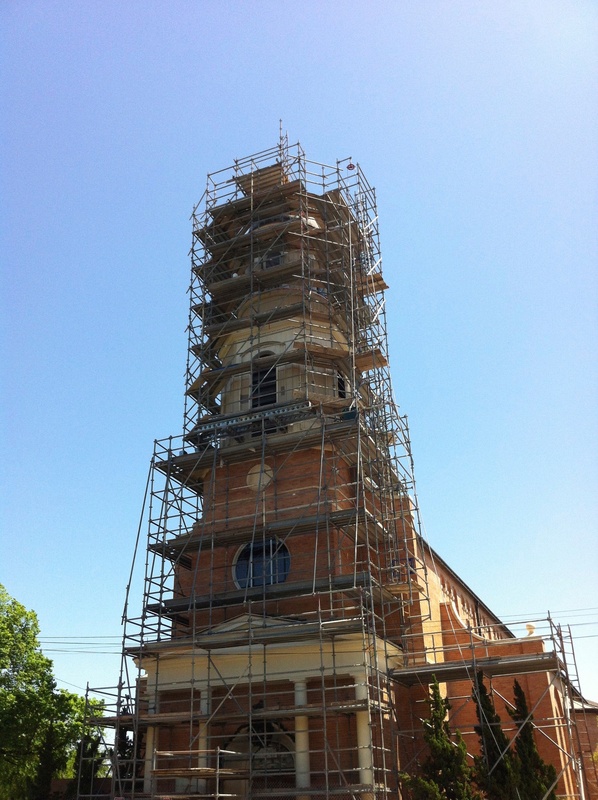 One column at the east side of the tower was seriously damaged due to termites and water infiltration. 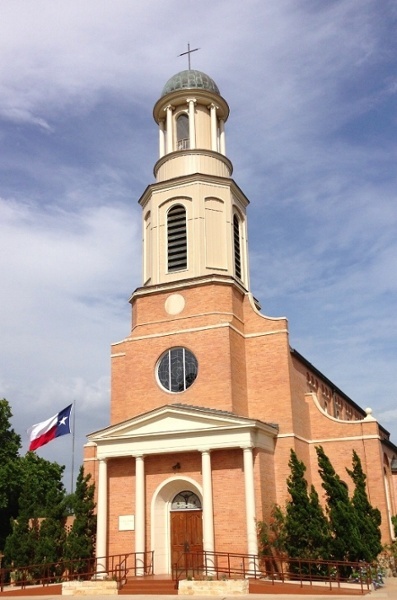 After examining the columns, it was determined that the best option for the church was to replace all of them with new fiberglass columns to match the original wood. 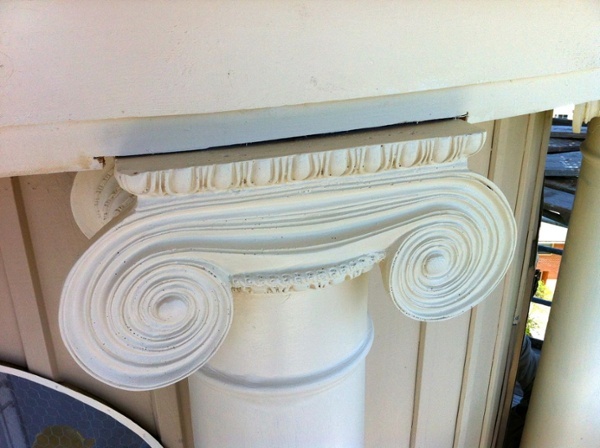 Rotted portions of the cornice and trim were replaced. A new proper drip edge was installed. The stained glass windows had significant issues, which were contributing to their rapid deterioration. Many had cracks or broken/missing segments and many of the joints in them were loose causing them to rattle. In some cases it appears that the only thing holding the windows together was the protective glazing on the exterior. The stained glass also has very small lead cames, which are not adequate to properly support windows of this size. Many of the windows are too tight in their frames so there was no room for them to expand and contract. This is caused many of them to loosen, crack and push out of the frames. 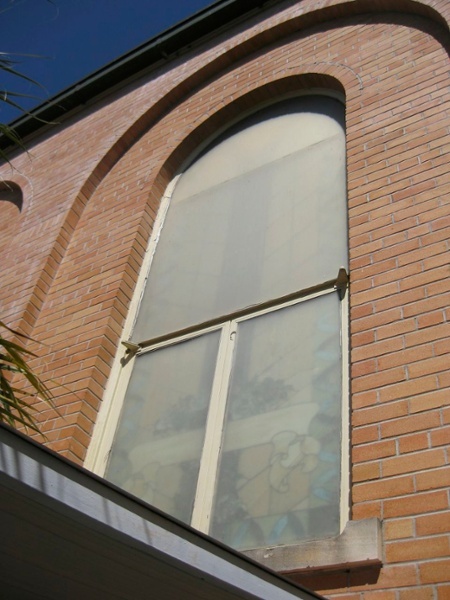 The protective glazing on the exterior was Plexiglas and it was not vented, which causes heat to build up enough to soften the cames, further damaging the windows. The windows were all restored in place with the exception of two that needed to be completely rebuilt. 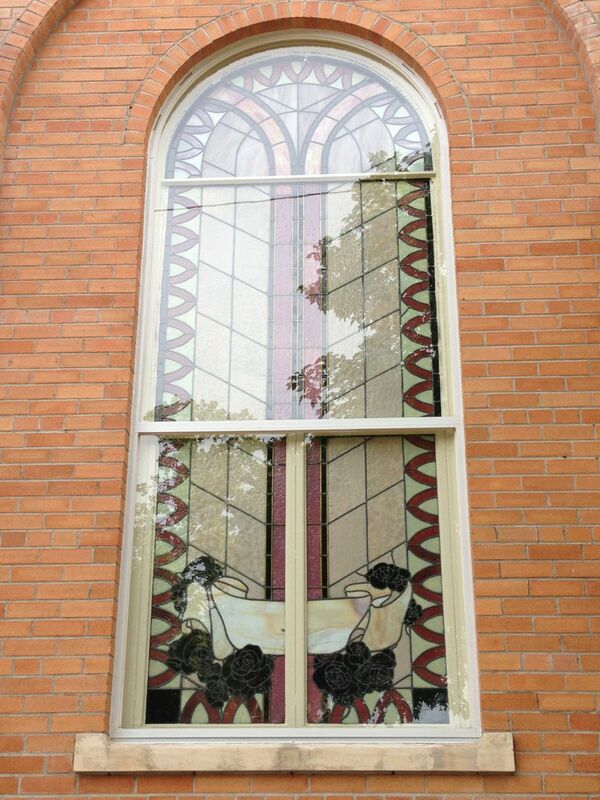 New vented protective glazing was installed over the stained glass. You don't need to be an expert to take good care of a historic building. Download these tips. 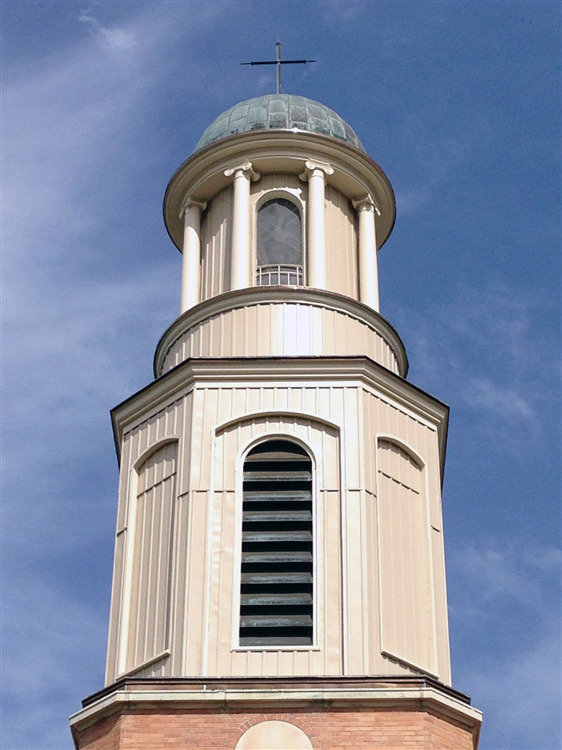 Top of steeple after restoration. The new wood details and profiles show the quality of the steeple's cupola. Stained glass window after restoration. Stained glass window before restoration. Top of steeple before restoration.